The Race is a high-quality entry-level pedal set. It features a accelerator, brake and clutch pedal, each crafted from lightweight aluminum. 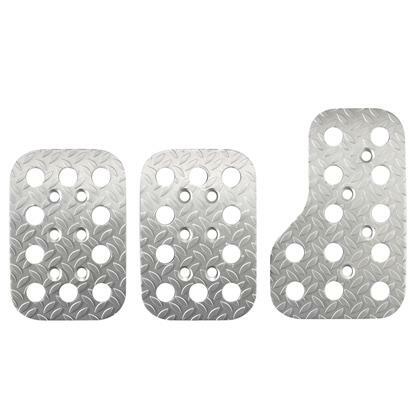 The perforated and diamond-plated design sheds weight while improving pedal feel. Available in blue or silver.